I would be interested, not sure about the design or logo though. Say $15 to 20 for a US large? id be interested if it had a pic of a csvt screened on it. You should be able to do $15 each for a high-quality shirt, no problem - if not, look at some other printers. I would bite if it looked nice. Maybe a black T with the CEG logo in grey? I could do them for 15 I think. Does anyone have a logo that they like? I could do them in grey, black, dark blue and dark green. The logo would prob be white or grey. If I can get at least 15 buyers I will do this for sure. Even though i took place in the last GB... If this one had an SVT shirt or something... I'd be in also! I'd be definatly in if it had a pic of a Mystique and a Contour on it and the CEG logo on the back, PERFECT. Just don't make it a white shirt, black or grey, preferablly grey, but I'll take black. and $15 for a adult large would be cool. I missed out for Christmas. So I would like to cash in this time. I would go for Blue with white letters or grey with black. Any logo is cool for me. I kinda like the one that had the front end of an SVT across it. I think we should stick with the traditional CEG logo. and on the front a CSVT and a pre98 or post98 Stique. and a blue shirt would be cool too, like a navy blue. and it can say on the front Contour Enthusiasts Group on the bottom or top. I bought some from the last GB. I unfortunately got an XXL and a small ...and ordered 2 larges. They had the CEG logo on the front and a big one on the back. They turned out great,I'd be in to get one that fit ME . How about you guys post a pic of something you would like other than the CEG logo. If I can get a few of each maybe I can make 2 types of shirts. Well lets get one that people like of a SVT or just a Contour or whatever. The other one will be the CEG Logo. I have to agree. I need one for myself and one for my girl. 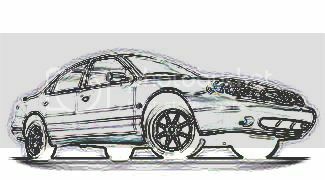 1999 Ford Contour 2.5V6 5peed Se Sport. Looking for svt front and rear bumpers. Does anyone have like a front outline of a contour? I think we could make one with that one it then one with the CEG logo. dang at least SOMEONE agrees with me. I think that'll be pretty fair too, since this is pretty much a Contique website and I really don't want a T-shirt with ONLY a CSVT on it I mean it'll be cool but hey I drive a Mystique for crying out loud, sorry gettin a little carried away. I think that'll be a good angle for one, and a CSVT at the opposite angle with the CSVT on top or having them side by side would be cool. skrilla, you get the details hammered out & I will buy AT LEAST 4 shirts from you. No kiddin'. I'm in. Mystique, SVT, SE,... Don't matter. I'll buy whatever you've got. Great to hear that you want in. I will for sure do CEG shirts as long as at least 10 or so will buy them. I am looking for a outline of a Contour or Mystique or whatever for the other one. 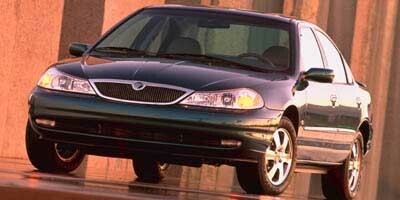 I think it would be kind of weird if we just had someones particular car. Or the front with a Contour or Mystique and the back top-centre with a CEG logo the same size as last GB's front logo. No problem. There was a rendering on the back of the CEG jackets. I don't know whom you would need to ask permission for its use, but I think it might do. It's also on the cover of one of the calenders IIRC. That would be perfect. Can anyone find it online somewhere? If so that'd be ok I guess, but I like the idea with the Contour and Mystique myself. I still think my original idea is the best one but since no one is artistic, what ever. Just only the Contour pic would be great too. They can use some modding. More lines in the Mystique bumper & clean up the Contour headlights & grill a bit. Yeah, but thats exactly what I was talking about, hell at least someone is on the same page as I.
I don't think I want to go with doing a particular car on the shirts. 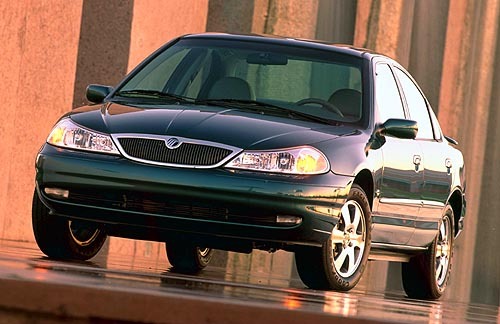 There would be people that would want a SE, SVT, Mercury. It would not be to good. I think I might just do the regular CEG logo on one with just the front. Then maybe the outline of the contour with the CEG incoropated into it. That shirt would prob say www.contour.org on the back of it or something. Are you guys interested in this? I would have to talk to the dude that would be helping me make the shirts but if you guys would buy either of them two I will be starting on making prototypes in the next week or so. I'd stick with white, gray and blue to queue the site design also. I think I've edited this post twice now. 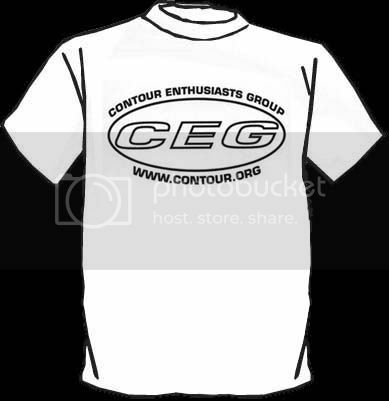 Maybe you could do this, put the outline of a contour on the front and the CEG logo on the back of one, the other, with the CEG incoropated into it, with the web site on the back, I really think the one with just the CEG logo on the front would look kinda tacky myself. Like this one the front of one. and the back image could be this. and if you want black shirts you can just easily invert the colors. the black turns to white and the white turns to black. and the other shirt like what your saying. 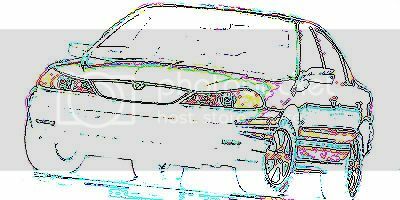 I kinda like the idea of the "CEG" in the outline of the car, but that doesn't really look like a contour unless u look close. I like the other outlines posted above. Either way, whatever u guys decide on, I'm in. Alright who's starting an apperal group buy on my turf????? Hey man, PM me and I'll find you a copy of the logo we used on the jackets. I will put that on the front breast on a shirt then the logo big on the back. 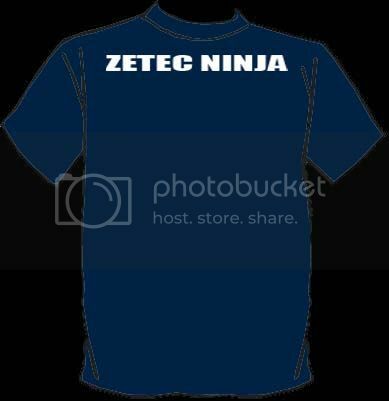 The other shirt will have the logo below on the front and thats it. I hopefully will have these made up by Friday. The bottom logo...will it go across the whole shirt or be just a small emblem? So the car one will go on the front, and will it be small or big? (either big or small is cool) and the actual logo with the website on the back? The bottom logo of the car and the website would go across the whole shirt just like in the picture. 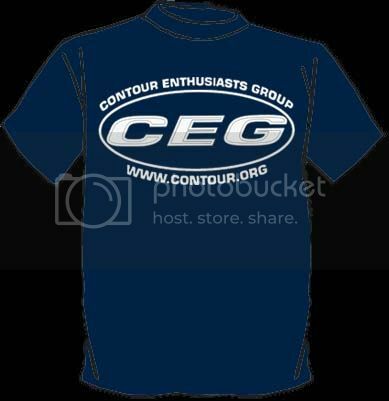 For the 1st shirt it will have the CEG oval on the front small and big on the back. The 2nd shirt would just have the car and the website on the front only. So where will be the CEG oval be going on the front? in the upper left corner? at least put it in the middle - the over the heart thing is soo old school - center the logo and or big logo on back and www.contour.org accross the chest on the front. I'd be cool with the www.contour.org on the front chest part too. Fellas, I'm going to chop my idea for shtis and giggles and just see where to take the designs. Is G r y m e s in on this yet? Edit- These, for starters? Gotta keep it plain jane Black and White, unless someone can pull off graphics..I put the car in as a sort of "template" for whatever car we'd want to see there. WorldTour, ZetecNinja, Grymes; everyone who can PS, if you're interested chop a few t shirts! I don't know if its been done before or not...but hey, its simple. That would be cool with the user name on the back but, I don't like the big logo on the front make it look like a jersey style t-shirt and put the logo on the back and the user name on the top, with the website on the front or a little CEG logo or just CEG big on the front and put Contour Enthusiasts Group on the bottom of the CEG. Generated in 0.055 seconds in which 0.043 seconds were spent on a total of 13 queries. Zlib compression enabled.